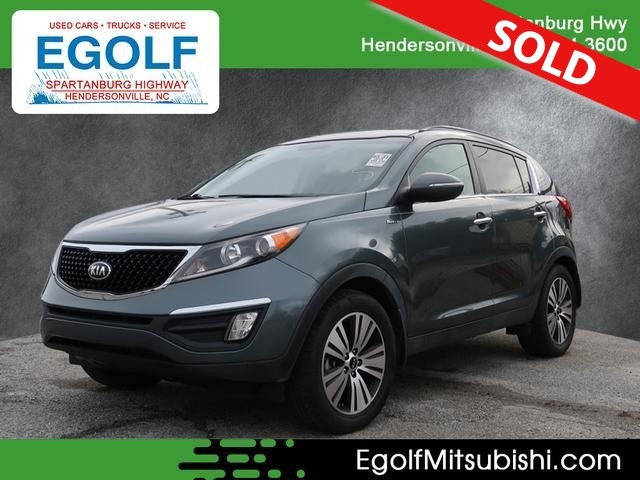 2014 KIA SPORTAGE EX AWD, AUTOMATIC TRANSMISSION, CLEAN AUTO CHECK HISTORY REPORT, PREMIUM EQUIPMENT GROUP WITH UPGRADE PREMIUM WHEELS! !, LOW MILES, VERY CLEAN ALL WHEEL DRIVE SUV. PLEASE CONTACT EGOLF MITSUBISHI SALES AND SERVICE @ 828-694-3600 FOR MORE INFORMATION AND TO SCHEDULE YOUR TEST DRIVE TODAY @ 1325 SPARTANBURG HIGHWAY, HENDERSONVILLE NC 28792. FINANCING AVAILABLE FOR ALL CREDIT TYPES! !.